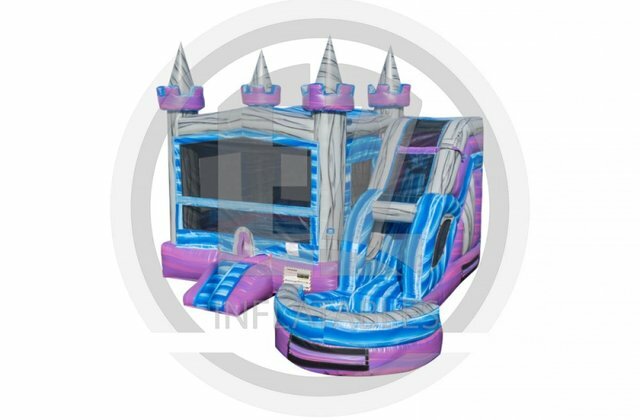 The Crystal Castle Combo Wet Unit combines the fun of our uniquely shaped castles with our popular inflatable slide. Kids can jump and play inside the castle-shaped bounce house before going down the attached inflatable water slide, just add water! The bounce house features see-through mesh siding to aid in adult supervision. Our Crystal Castle Combo Wet Unit is the perfect entertainment addition to any girl and yes, boy, birthday party, family gathering, or another children’s party.